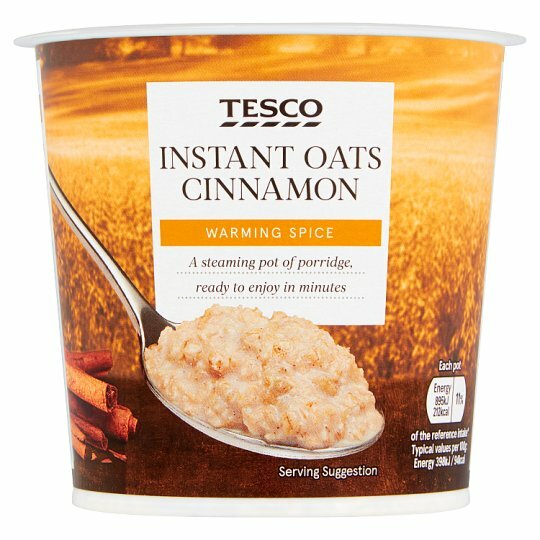 Instant oat porridge with ground cinnamon. May contain wheat, almond, brazil nut, hazelnut and pecan. For allergens, including cereals containing gluten, see ingredients in bold. Also, may contain peanuts, nuts and wheat..
Store in a cool, dry, odour free place., Once opened, prepare and consume immediately. Caution: Take care as product will be very hot.Hold above fill line.